Many of us use PHP in windows platform and transfer the data / files to remote server. The advantage of PHP is, it works equally well in Win platform also. There are different ways to install PHP in a windows platform. Here is one of the way but this may not be the easiest way but this will give you an idea how the web server get configured for running any scripts like PHP. The same technique can be used to run any other script. 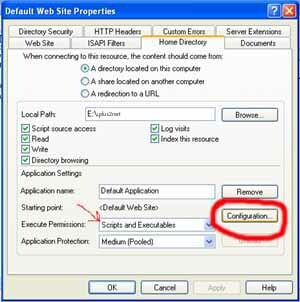 This for configuring IIS to execute a script based on different file extensions it receives. 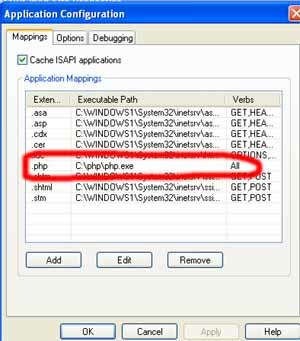 PHP 5 installation process is shown in part II of this tutorial. You can see screen shots of changes required in PHP 5 installation. Expand the + buttons on the left side area if any and Right click the label saying default web site. You will get a list of items in the menu and then go to properties section. In the property section select go to Home Directory tab ( at the top ) and click the button Configuration. Here we are trying to tell IIS to execute php.exe script for all file extensions of PHP. 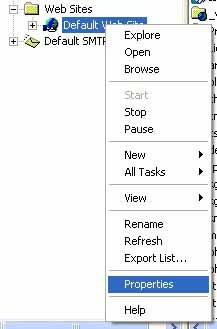 Once we click the configuration button we will get one window with existing file extension and corresponding executable applications. Here we have to add our required application to the list so we have to click the Add button to add our php extension. After clicking Add button we will get an window to inter the path and extension. We can enter the path details by using the browse button. In the extension field we will enter .php ( dot php ). 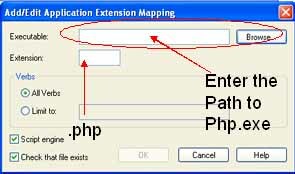 Click OK and you will see the executable path added to the list for the .php extension. Now select the script and executables on the execute permissions. Click OK and to close the main property window click OK again. That's all .. 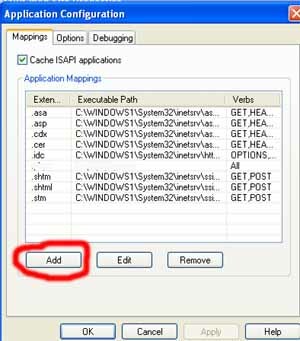 This will configure IIS to run PHP with php file extensions. I want to know more in detail about web site hosting inside my company domina,Can some on eplease help me? I do this IIS in my computer and set it up.I feel happy.